Yokogawa offers conductivity analyzers suitable for measuring the two most common conductivity measurement methods: contacting and inductive (also known as toroidal or electrodeless). Our conductivity analyzers provide high precision measurement and are built to withstand the harshest applications, requiring minimum maintenance and helping you achieve increased efficiency and reduced operating costs. Brine is often used within industrial processes such as food and beverage, refineries, textile dyeing house, and chemical plants as well as in municipalities or for commercial use as a final product applied to pavement roadways or commercial parking lots as an anti-icing or de-icing agent. 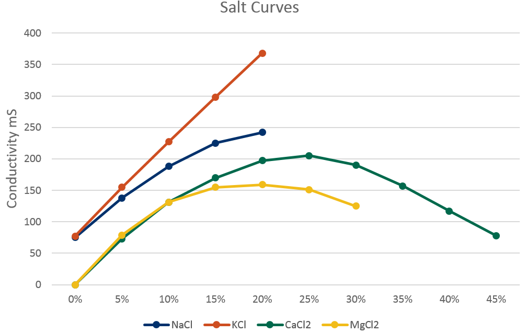 Conductivity measurement can be used as a reliable indicator of the real-time brine concentration. Utilizing online process analyzers removes the need for timely grab sample analysis. 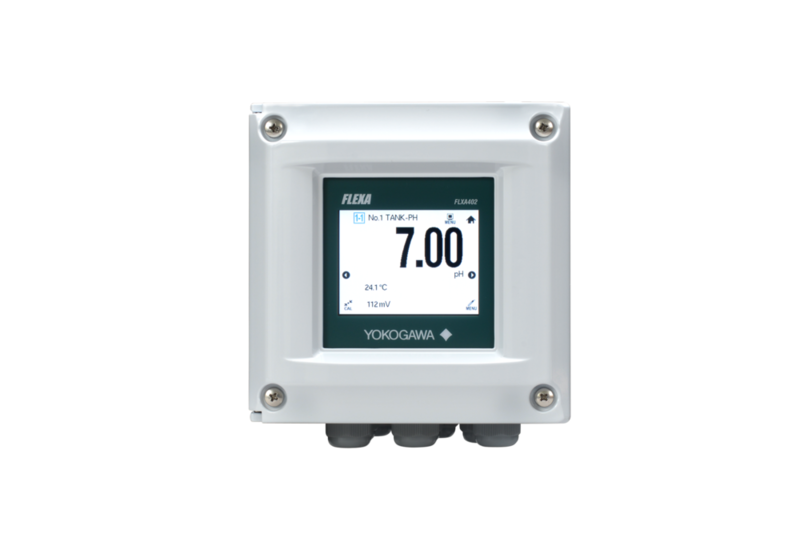 Yokogawa’s inductive conductivity analyzers help you achieve increased efficiency and reduced operating costs while realizing reliable brine concentration measurements. 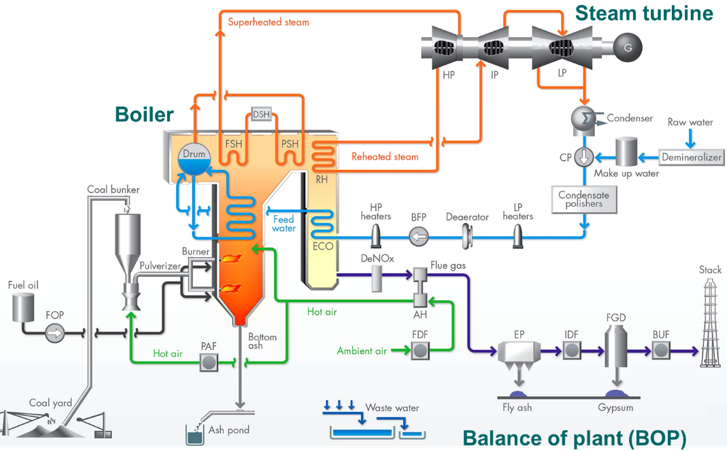 The frequency and duration required for boiler blowdown is significantly affected by water quality. Raw water used to feed the boilers contains varying levels of impurities that must be removed to protect the boiler and associated equipment. Pretreatment processes such as reverse osmosis, ion exchange, filtration, softening and demineralization may be used to reduce the level of impurities. Unfortunately, even the best pretreatment processes will not remove all impurities and will continuously carry some dissolved mineral impurities into the boiler. 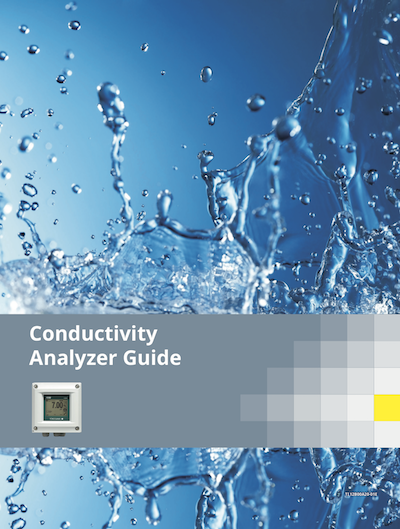 Increase efficiency and reduce operating costs using Yokogawa’s conductivity products. Yokogawa’s conductivity transmitters and converters possess USP (United States Pharmacopoeia) functions to simplify and automate USP requirements. The FLEXA two-wire conductivity transmitter has the USP23/24 Stage One table pre-programmed in its software. When enabled, the transmitter will send a FAIL signal when the water exceeds the USP limit and can display and transmit the uncompensated conductivity that USP mandates for compliance recording. The SC450 and DC402 four-wire conductivity converters have additional USP features with the ability to display and transmit the uncompensated conductivity for USP compliance, as well as the NaCl temperature compensated measurement, valuable for process control. 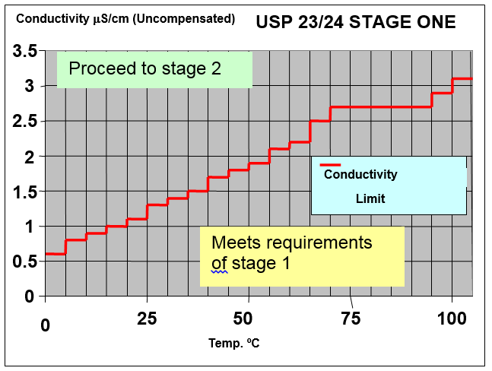 The USP23/24 Stage One table is pre-programmed into these instruments, and a FAIL alarm will be given if the conductivity limits are exceeded. Alarms on these units can be dedicated as USP “warning” alarms with user-defined safety margins. These “warning” alarms will inform the operator that his/ or her water is trending towards the USP limit and will allow him/or her to take preemptive corrective action. Ion Exchange is a method for the exchange of ions between two electrolytes or between an electrolyte solution and a complex molecule. In most cases, the term is used to denote the processes of purification, separation, and decontamination of aqueous and other ion-containing solutions with solid polymeric or mineralic ion exchangers. The dual channel process liquid analyzer gives you the ability to measure the bed’s inlets and outlets and calculate the ratio or % passage of the bed. Corrosion on the process side causes the heat exchanger tubing to mechanically fail, allowing the process fluid to leak into the condensate return line. This can cause serious damage to the boiler. Therefore, it is necessary to monitor the condensate downstream of the heat exchanger and to dump it as soon as it shows signs of contamination. 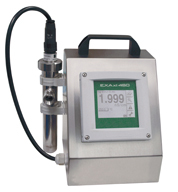 An excellent indication of contamination can be obtained by measuring the conductivity of the condensate because pure condensate has a very low conductivity value (1 to 10 µS) while contaminates (typically salts, acids or alkalis) that are introduced when leakage occurs have a significantly higher conductivity value. Because of the sizeable differences in values, even the slightest leak will sharply increase the conductivity reading. Any marked increase in the conductivity of the condensate indicates that leakage is present and that the condensate should be sent to drain. Measurement and control of heat exchanger leakage can help prevent costly maintenance, repair, and downtime. The simple, essentially maintenance-free measurement of condensate conductivity gives operators the necessary information (or provides automatic control) to prevent severe damage to the boiler should a breakthrough of the heat exchanger occur. In the Pharmaceutical, Chemical and Food & Beverage industries, after manufacturing products, the cleaning and sterilization of tanks and piping are done with various cleaning solutions, fresh or hot water and steam. Clean-in-Place (CIP) is a system designed for automatic cleaning and disinfecting. Yokogawa’s inductive conductivity liquid process analyzer takes measurements with good boundary surface precision over a wide range, earning it a reputation in the recovery of cleaning, which contributes significantly to reduce chemical and wastewater processing costs. There are numerous industrial applications where measurements and/or control of a specific chemical strength of the process is critical for optimizing the production of the end product. These specific concentrations are obtained by mixing a full strength solution with water to achieve the desired percent concentration. Conductivity measurement is a reliable indicator of the concentration of most acid or base solutions.